Solid-state drives (SSDs) are widely used in large data processing applications due to their higher random access throughput than HDDs and capability of parallel I/O processing. The I/O bottlenecks that HDDs on database systems face can be resolved by using SSDs because of these advantages. However, access latency on cache hierarchy may become a new bottleneck in SSD-based databases. 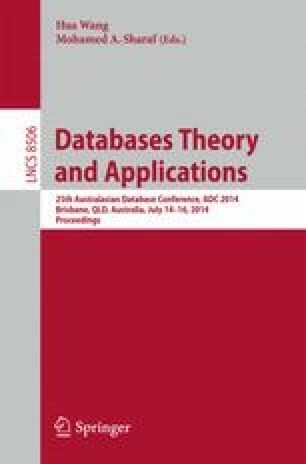 In this study, we quantitatively analyzed the behavior of SSD-based databases by taking hashjoin operation. We found that cache misses in SSD-based databases can be decreased by reducing the hashtable size to fit into the cache. This is because the I/O cost is not increased by the high throughput of the SSDs, even though the hashjoin partition files are fragmented. We also observed that cache misses are not increased by taking a multi-hashjoin query. This is because the total size of multiple hashtables can fit into the cache size in SSD-based databases, which is in contrast to HDD-based databases, where hashtables require almost all of the available memory. Overall, our analytics clarify that the performance of multiple queries in SSD-based databases can be improved by considering data access locality of the hashjoin operation and determining the appropriate hashtable size to fit into the cache.